Unexpected circumstances can throw you off your game if you let them and don’t adjust. Car troubles, delays, bad weather, postponements, event cancellations, illnesses, schedule changes are just some of the challenges that athletes and coaches must deal with in sports. 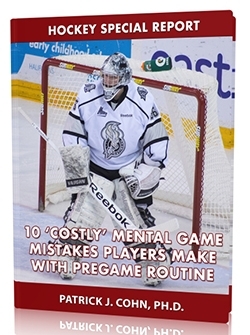 Some hockey players freak out when they are late for a game, don’t have time to eat before a game, find out that the game is being postponed for later in the week, discover their favorite stick is split, don’t have time to properly warm up before a game, etc. 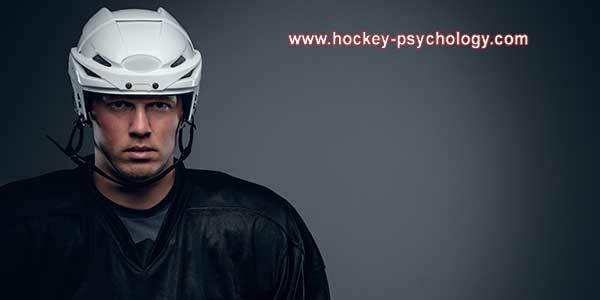 Hockey players that freak out when the stuff happens become agitated and impatient, which throws off their game tremendously. So, what is the best strategy to manage unexpected circumstances? First, you should understand the unexpected can happen at any time. Though it is important to plan for the unexpected, you can’t plan for everything. For that reason, you must be ready to adjust on the fly. Next, understand that unexpected circumstances don’t have to be obstacles. With the right mindset, unexpected circumstances can be opportunities to be better prepared or provide you with an advantage. For example, if you’re late for a game, you can take that time to mentally review your game plan or take that time to visualize your role. If your game is pushed back a few hours, you can get your homework or other tasks done so you are fully focused during the game. If the game is cancelled, you can look at this as an opportunity to continue to improve your game. Flexibility and the ability to adjust will be your best friends when the unexpected happens and, potentially, give you an advantage over your opponents who are less prepared to handle the unexpected. Taking advantage of the unexpected is exactly what the Minnesota Whitecaps of the National Women’s Hockey League did in their first-ever playoff against the Metropolitan Riveters. Unexpected weather conditions prevented the Metropolitan Riveters from arriving on time causing a five-day postponement for their semifinal match up. Whitecaps Hannah Brandt, who scored two goals in the 5-1 victory over the Riveters, commented about the team’s need to adjust their mindset. The Whitecaps took advantage of the five-day postponement spending extra time working on their defensive-zone coverage and attacking the offensive end, which were keys for their victory. When the unexpected strikes, adjust on the fly and turn it into your advantage. First, relax. Apply a relaxation strategy, such as progressive relaxation, calming music, breathing exercises, which can relax your mind and help you think clearly about the situation. What can I do that will help me be patient? How can I use this situation as an opportunity to better prepare? How can I use these circumstances to gain an advantage over my opponents? Flexibility and ability to adjust on the fly will serve you best when the unexpected happens. If you’re an athlete who is frequently tense, tight, anxious, or wants to learn more about how to relax better under pressure, The Relaxed Athlete is for you! Relaxation and the ability to stay calm under adversity is what championship athletes do best. It only takes one tense moment for you to lose a critical point, miss a putt, or lose a second off your lap time. You cannot afford to let anxiety control your mind and cause you to make errors at critical times in the game! 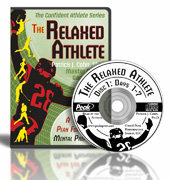 The Relaxed Athlete is a complete system to teach you how to relax like a champion and harness the power of relaxation every time you step on the playing field, court, track or course in practice and games! How to use pre-shot routines before shots or serves to help you be more task-focused instead of worrying about results.